I attended another decorating class – this time Mini-torte (small cakes), I had so much fun but ran out of time so I finished off at home the next day. 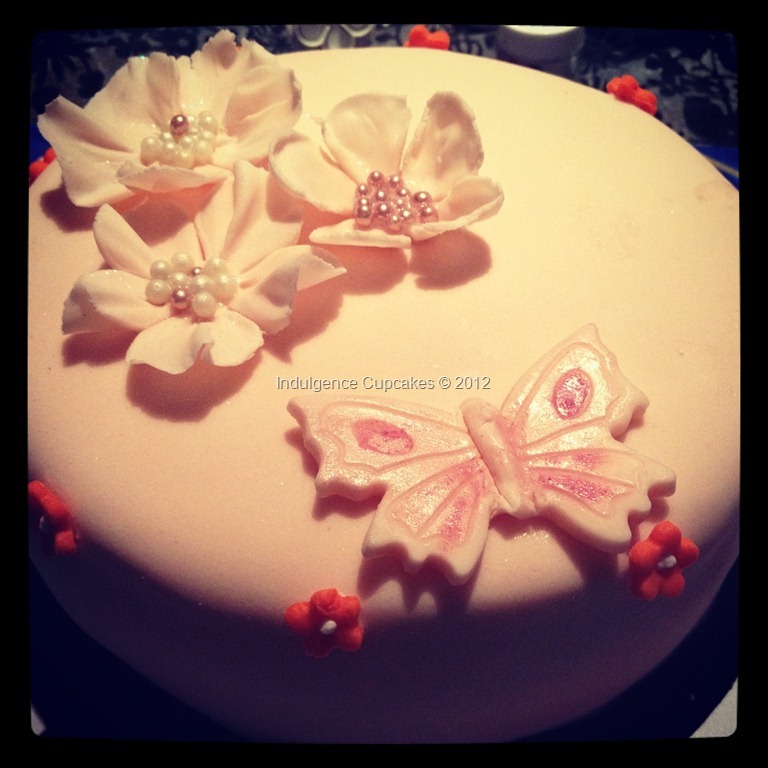 I’m really enjoying making flowers out of fondant. so nice to see that I can create something pretty! 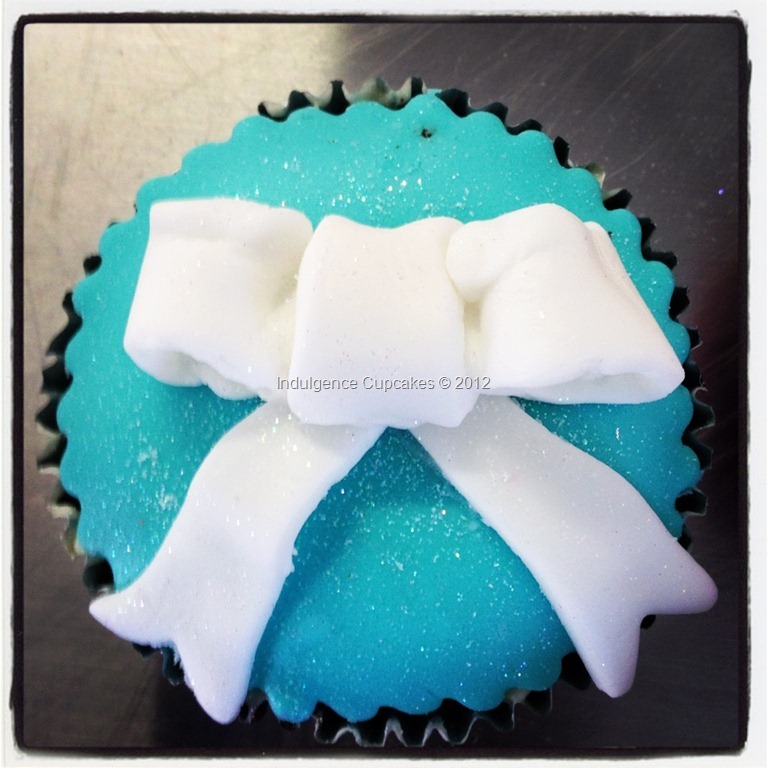 I attended a cupcake decorating class at Kitsch Cakes yesterday.) Here is one of my creations – Tiffany inspired of course.. what girl can resist?! As part of my 5th wedding anniversary present to MrTwist, I signed us up for a baker’s cooking (baking) class which we went to on Thursday evening. Taught by Chef Walter of The Proof of Pudding Cooking School, we had a fantastic time. If his bread is anything to go by, Walter is a brilliant chef. We learnt a lot, everything from the different types of flour (rye is so much like sawdust!) to learning the best backing techniques (steaming the bread in the oven for the firs 7 minutes before baking!). The course was well planned and perfectly presented in that of the 5 different bread types we prepared, there were samples already proofing and ready to bake when we had finished making our own batch. So we were able to experience everything from the mixing, kneading, shaping and baking – all in the 3 very fast hours of the class! Here are photos I managed to take during the class as well as a few video clips. No-knead brown bread, so quick and easy to make! The difference between rye and plain white bread dough. The rye is like a rock! MrTwist’s creation – so much for baking rye bread! The video clips:– forgive the bad sound and noises coming from me, I didn’t mean to speak while filming, lol! MrTwist Kneading rye bread – its not easy! I highly recommend Proof of Pudding to any individuals, couples or groups. Chef Walter is experienced, well informed and most of all patient and the list of courses offered will definitely see us going back for more training!